1) I've been traveling every week for four weeks in a row. 2) we're pregnant and my 2am baking adventures have been replaced with sleep. In the meantime, I've had the pleasure of eating dinner this week at Publican and Blackbird in Chicago. Kudos to both of them for having terrific non-alcoholic cocktails including a vivacious ginger ale soda and a custom-made rhubarb-pineapple-mint mocktail. 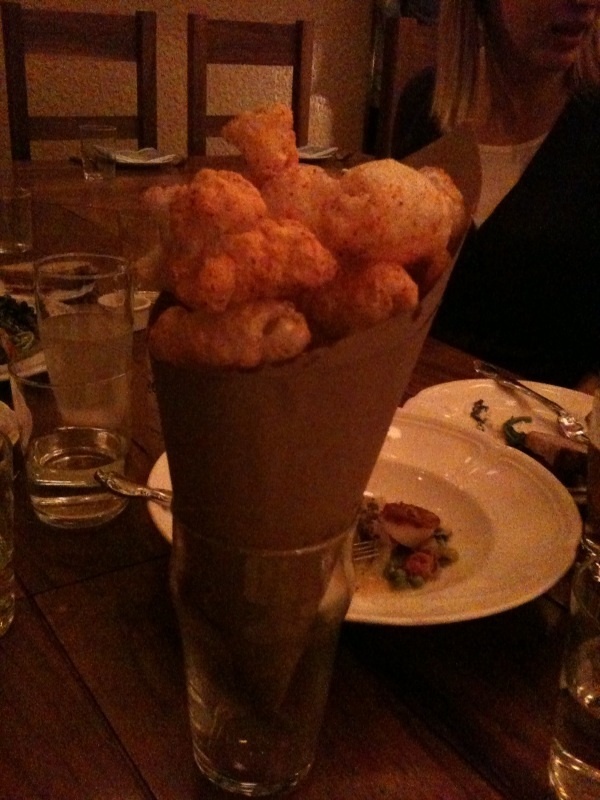 Can you guess what this mystery food in the cone is from Publican? I actually never tried it until now. Pork rinds? I've never tried them either. Yes!!!! It was pork rinds! They were interesting...kind of like a meat cheeto! Not sure they were my favorite but well done for what they were.